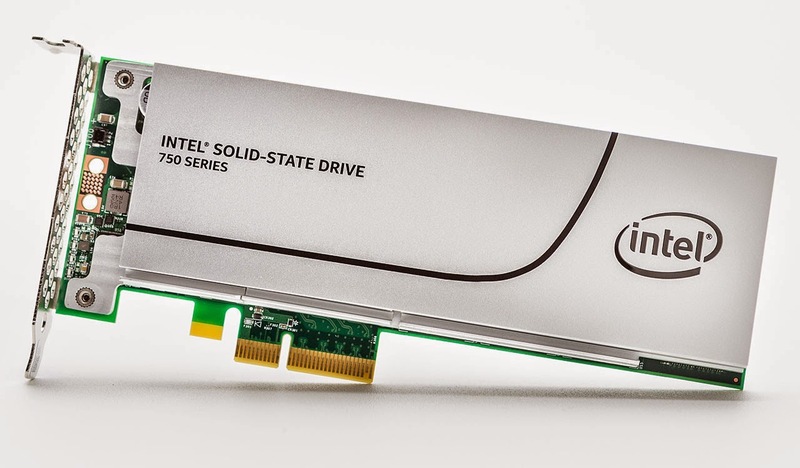 Intel today unveiled the Intel Solid-State Drive (SSD) 750 Series, its highest performing SSD for use in client PC storage devices and workstations. The 750 series delivers greater than four times the performance of SATA-based SSDs by utilizing four lanes of PCIe 3.0 and the NVM Express (NVMe) standard. For added flexibility, it is available as both an add-in card for systems with an accessible PCIe 3.0 slot and as a 2.5 inch small form factor solution. Intel also announced the availability of the Intel SSD 535 Series which offers the ideal balance of cost and performance for mainstream client PC storage devices.